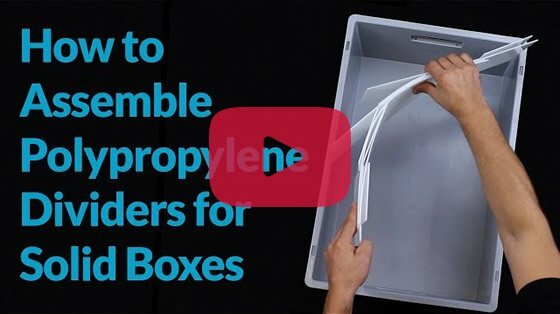 For many years here at Yahire, we have stored, cleaned and transported our glasses in Correx glass boxes, these boxes are lightweight, fairly cheap to purchase, can be cleaned easily and stack well. 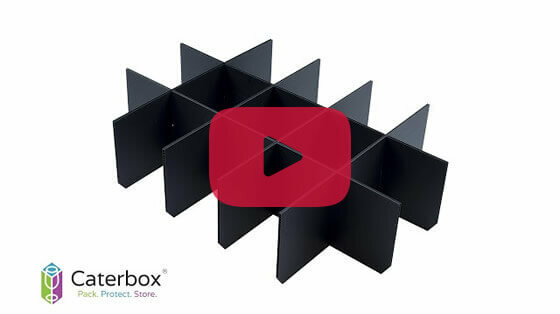 The Correx boxes will last a number of years, but after regular use in a busy catering equipment hire company, they can start to weaken and become problematic. 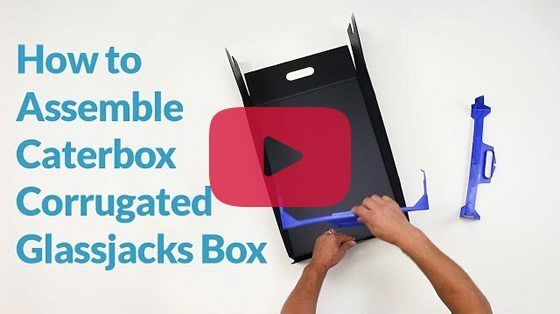 The handling time on these boxes can be quite long with these only suitable for storage and transporting and not for washing. 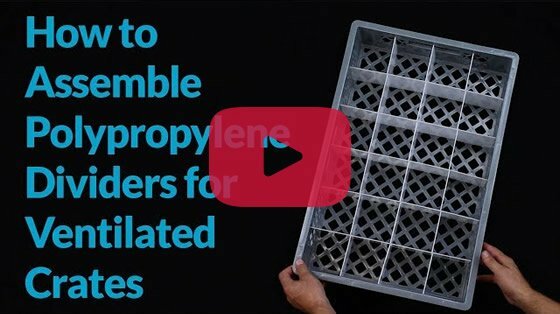 Late in 2016 here at Yahire, we decided to invited Nik from Caterbox down to our warehouse to discuss how new dishwasher racks could improve our cleaning time, storage, image and cost in the long run. After going through the pros and cons we decided to Invest in these new crates and have found them a great success so far. The advantages we have found with the new dishwasher racks are that they can be customised to various different sizes and fit nearly any glass very snug, which increases the number of glasses we can wash in one cycle. 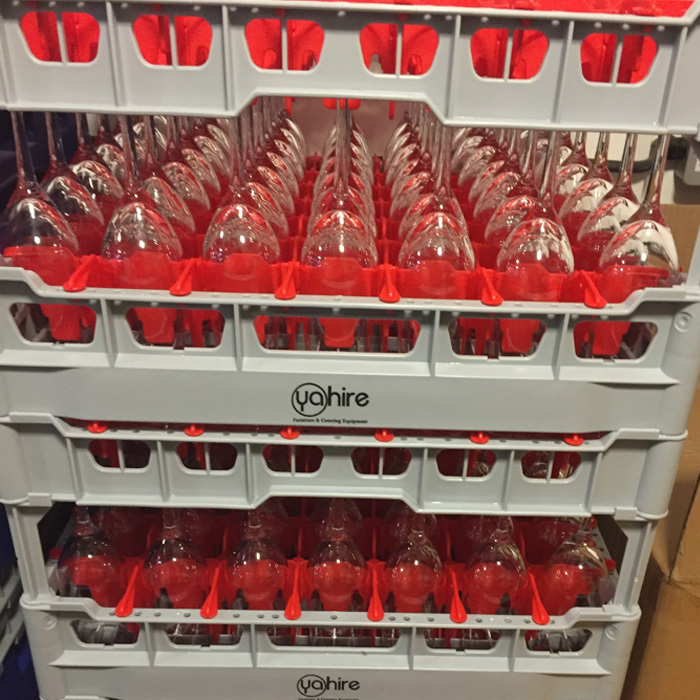 Another advantage was the storage, with very limited wasted space and great stackability we could fit more glasses in a smaller space, this is very useful with expensive warehouse costs in London. The image of these racks is a big improvement for the company, they have been branded with Yahire's logo and "Furniture & Catering hire" so customers can see clearly what we do which is an improvement on stickers on boxes, as these look a little unprofessional. All of these things are good but the major difference is that these racks can go through the glass washing machine, this saves greatly on handling time and cost. 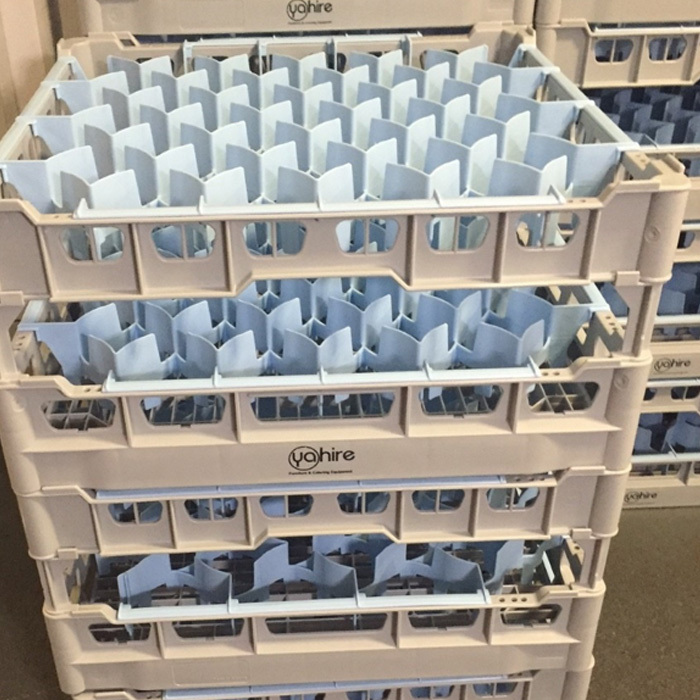 With the new glassware racks we can fit 44 glasses oppose to 35 which we had in the correx boxes which makes a big difference on handling, this means less handling costs before washing. The racks we have come in various colours to help our team clearly identify the difference in the range and avoid miss picking. The one downside to these racks is the initial cost but in the long run, they will be more cost effective and we feel the investment will prove a success for our glassware hire department.